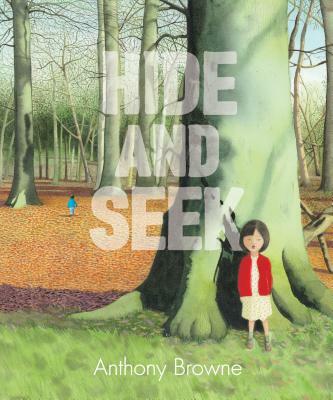 Shadows and shapes invite the eye to see hidden forms and make meaning of them...The perspective also zooms in and out to underscore readers' alignment with the children and to enhance their sense of the vast, eerie forest...Engaging. A mixture of fantasy and realism will have readers poring over the paintings, which differ in size from page to page, as they notice objects that are there but shouldn’t be. A list of 18 items readers can look for within the illustrations is found after the happy conclusion of Browne’s fiftieth publication. To take their minds off Goldie, their missing dog, Cy and Poppy opt for a game of hide-and-seek in the woods...The mood of the visuals immediately lightens as they head back to their small mobile home at the edge of the woods—warm and cheery, with a wide-open door. An appended list alerts readers to some of those unusual objects hidden in the forest (lest anyone thinks his or her imagination was overreacting during the first read) and encourages seeking out more. Using spare words and subtle artistic details, Browne captures slippery, mysterious emotional shifts, from play to fear and back again, that many children will recognize. Browne’s evocative surrealistic artwork will be appreciated by those who enjoy slightly scary and seek-and-find picture books.